The world has come to a standstill with the news Aretha Franklin has passed. She was the Queen of Soul, celebrated and honoured the world over for her incredible music talents. Aretha Franklin's voice was indelible and a force of nature; textures of chocolate syrup trickling over temperate pudding, topped by a cage of crispy caramel lace and dripping with luscious cream. She had an incredible range that hit balmy growling depths and effortlessly soared to strident carrying tones that penetrated beyond the heart and soul. She could hit the ivory keys of the piano, having learnt to play by ear. She inspired generations of singers to follow, from Chaka Khan to Diana Ross, Whitney Houston, Mariah Carey, Amy Winehouse, Christina Aguilera, Adele and many more. Aretha was born into the heart of the deep south of Memphis, Tennessee - where social unrest and politics had created havoc for the last 80s years post Reconstruction - before relocating to Buffalo, NY and finally settling in Detroit. Her mother was an accomplished pianist and singer, passing from a heart attack before Aretha’s 10th birthday while her father was a renown Baptist minister achieving significant celebrity status for his passionate zeal while driving sermons from his pulpit of the New Bethel Baptist Church. Aretha travelled by her father’s side around the preaching circuit, rubbing shoulders with the finest gospel musicians in the country as well as Reverend Martin Luther King. She was in the congregation of her father’s church when the Rev King first delivered his “I Have A Dream” speech; a speech that would become iconic following its delivery at the March on Washington for Jobs and Freedom in August, 1963. Aretha would go on to perform at his funeral following his assassination in 1968. In 1956 age 14, she signed with JVB Records for her first album. In 1960, Berry Gordy, Columbia and RCA all vied for her talents. She signed with Columbia, releasing quite a few albums though her records never quite hit the mark - likely due to the record label not capturing the essence of her early gospel background. In 1966, she would sign with Atlantic Records, turning over a completely new leaf for her music career and rising to commercial success. Her star hit #1 on the R&B and pop charts with the release of Otis Redding’s ‘R.E.S.P.E.C.T’. A demand for equality, dignity and recognition, ‘R.E.S.P.E.C.T’ would emerge as her signature song, simultaneously synonymous to the Civil Rights and Feminist movements as the spotlight shone on American police brutality, job opportunity inequality and sub par living conditions. In spite of her superstar status, she too would feel deeply the side effects of segregation. Stories emerged of her and her band being lauded as superstars from the stages, then hitting the tour bus to be turned back by hotels, bars and diners. She knew social injustice, because she lived it with a life that had its own trials and tribulations extending far beyond the stage. But she changed her life, and consequently the world, through the power of her voice. 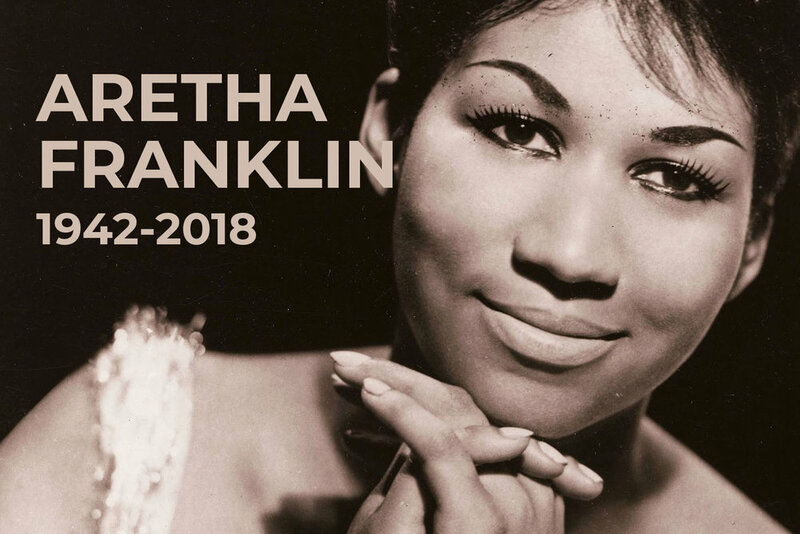 Aretha Franklin could sing anything; from gospel songs to R&B, soul, pop and even opera; bringing the righteous passion of her church upbringing and improvising vocals of her gospel roots to the stage. She came into the light at a time sorely needed, as white and black music was still finding itself within its newly mixed multi-racial niche. Her music became the soundtrack to the 1950s and 60s, with her songs transcending colour, gender, religion, colour and creed. She would emerge as an accidental heroine of this tumultuous period, forging the path for coloureds and women within a male dominated industry as the foundations of White America became ripe for the shaking. She was the OG social justice warrior, bringing elegance and class to causes where fervour and passions frequently spilled into violence. She swayed hearts, souls and minds with her voice, music and message. And she would see it through, from the 70s to the 1980s, 90s and beyond the turn of the century with countless hits, albums and duets, performing for luminaries from presidents to popes. And in the wake of her passing, we are left bereft. I pay homage to the unforgettable powerhouse that will always be Aretha Franklin with the tracks that leave lasting impressions forever in me. This larger than life black mama that embraced the worlds of nations into her generous bosom with that vociferous voice. 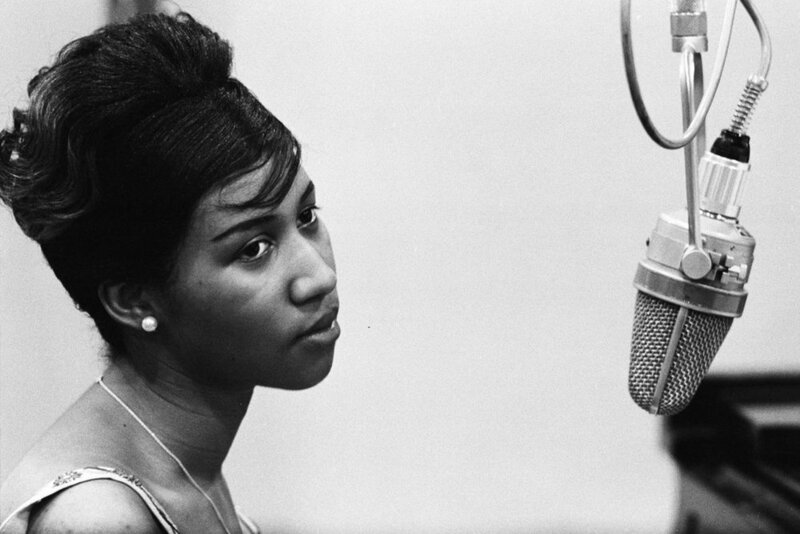 All hail the Queen of Soul, Aretha Louise Franklin. She was a powerhouse in life and in music. She’s even soaring through the stars with an Asteroid Named 249516 Aretha. She will ascend in death. The music of Aretha lives on.